World Peace Worship commences at Swayambhu Stupa, Nepal - Integration Through Media ....! 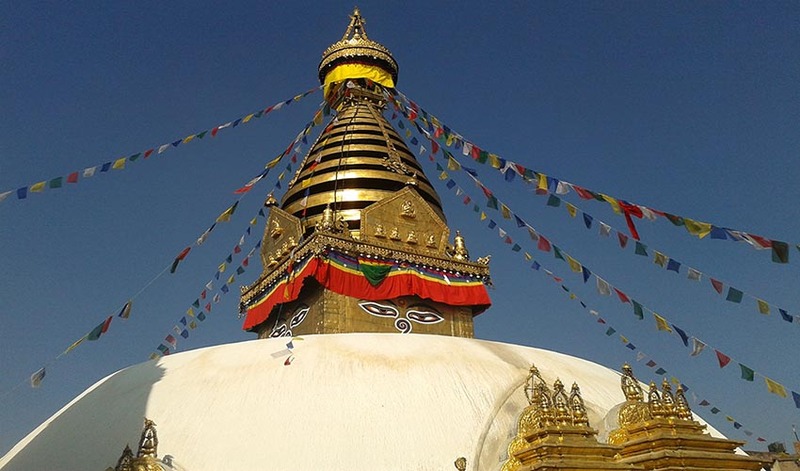 KATHMANDU: The ‘Kagyur Text Recitation and 26th World Peace Worship’ has commenced at Swoyambhu Bhagawanpau Stupa, Kathamandu, Nepal, wishing for the well-being of all the living beings. The ceremony started from Saturday and will last until April 19. It is organised by Nepal Ahimshabadi Bouddha Dharma Bishwa Shanti Chakra Sangh, a Buddhist organisation. The Kagyur is a compilation of the laws, practices and rituals prepared for the Buddhist followers as well as the various precepts and hymns found in the Buddhist literature. The Kagyur will be recited for a week as part of this ceremony. The organisation has been holding the Kagyur recitation and world peace worship ceremony at Bhagawanpau since the last 26 years. The Buddha’s preaching and precepts are written in Bhot language in the Kagyur according to the Mahayani tradition of Buddhism. Gurus and anis will be reciting 108 texts of the Kagyur as part of the ‘Kagyur Text Recitation and 26th World Peace Worship’, it is stated.